I am lucky enough to live in the mountains of Northern California, surrounded by Ash, Oak and Bays. Inspiration here is boundless. I find it lying on the ground. 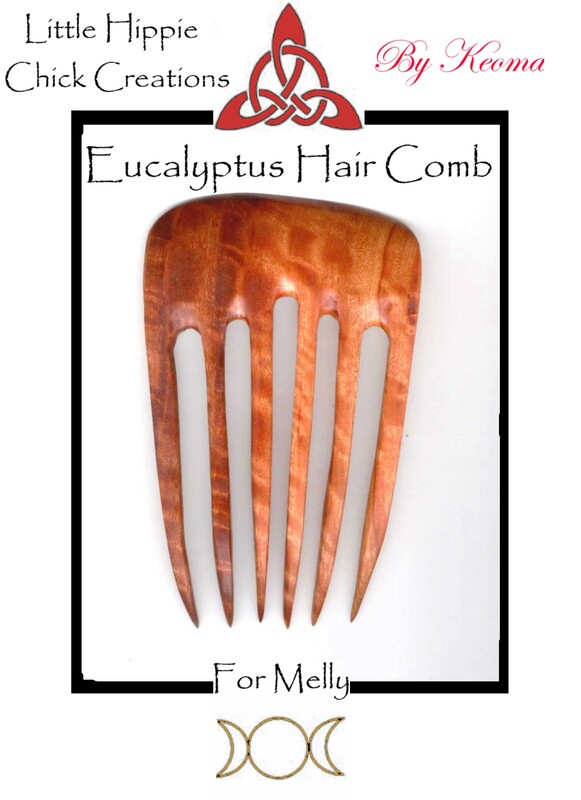 You can bet that when you get your hair comb from me, it was just a few days before, a mossy old log. I enjoy making all my creations from 100% salvaged material. I never buy any of my wood. 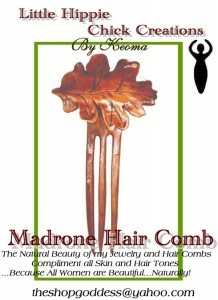 I make beautiful, earthy, natural art for women. 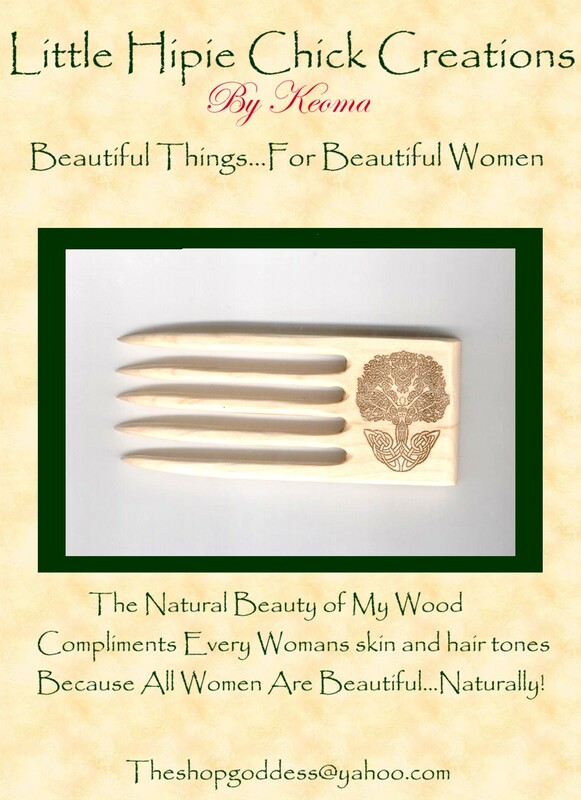 I say all women are beautiful…Naturally! 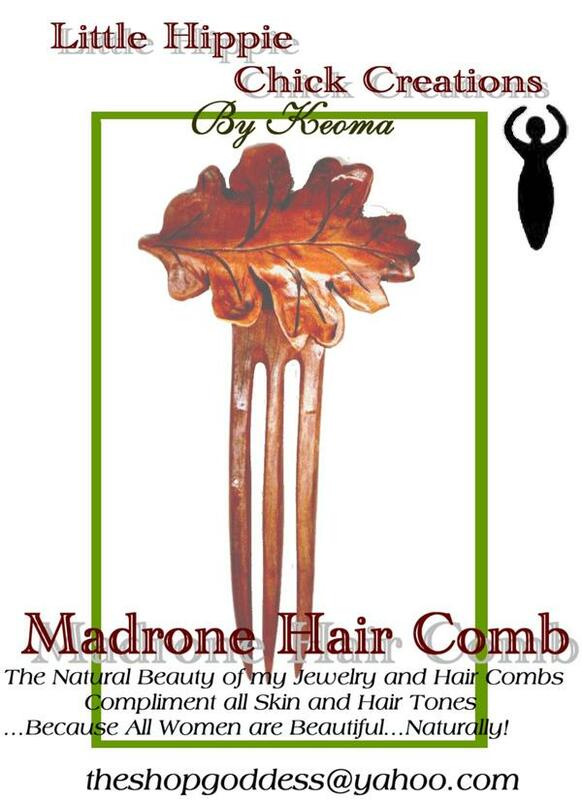 My combs are inspired by every woman I meet. They are functional, tough and beautiful-just like women! 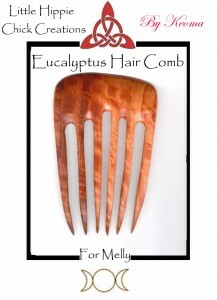 I really like the thought that I am not just making hair ornaments-I am making heirlooms. These are definitely something you can wear and love everyday and then pass them along. I believe in the spirit of women. It is a bond we all share and that is timeless. When I am working, that’s what I think about. Inside every one of us is a Goddess! I feel it is my job to remind women about that. My Grandpa would say you carve away everything that did not look like an Indian; I say you carve away until the spirit shows. Then you sand it smooth and make it glow! 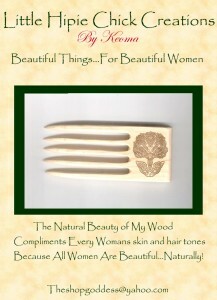 To learn more, visit: www.myspace.com/themakerofbeautifulthings or email theshopgoddess@yahoo.com.